Great ideas really do grow on trees. Create a unique brand positioning platform and visual identity that differentiates a certified arborist company from traditional tree trimming services. Develop a conversational messaging platform that appeals to the audience in an approachable, friendly way. 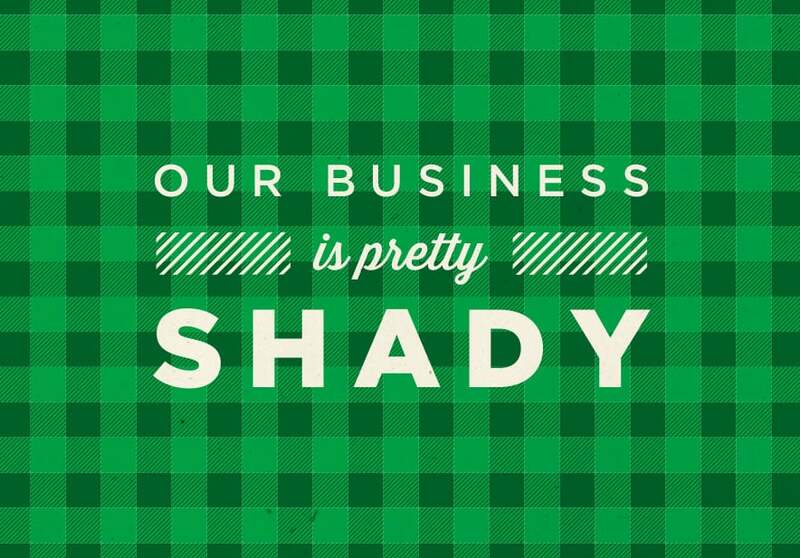 What other company can say, “our business is pretty shady” – and get away with it? Informed by our competitive landscape review, a differentiated brand position and visual identity system was created. 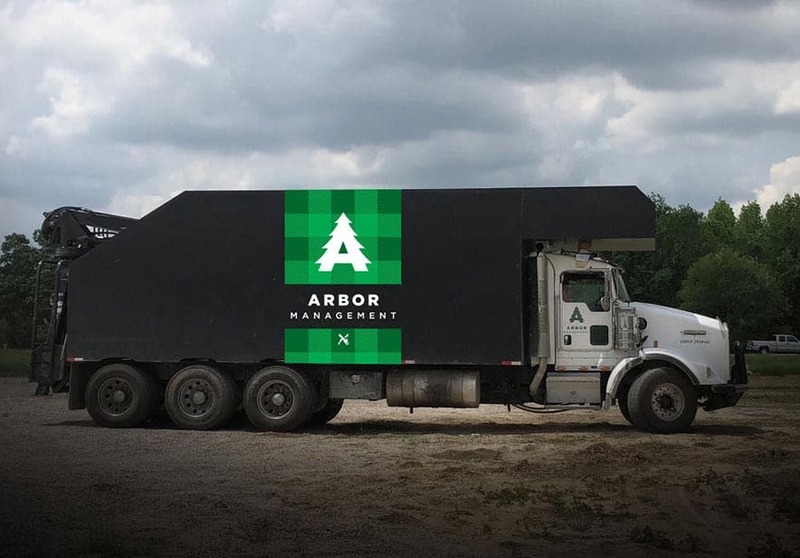 Using a unique visual and conversational approach to the vehicle design and grassroots marketing tactics, the Arbor Management brand was easily recognized and remembered. Every aspect of the design solution made Arbor not only the intelligent solution – but equally approachable and easy to do business with. The mark taking on a literal tree form was, well a natural. The ability to incorporate the “A” letter form made the mark that much more unique. 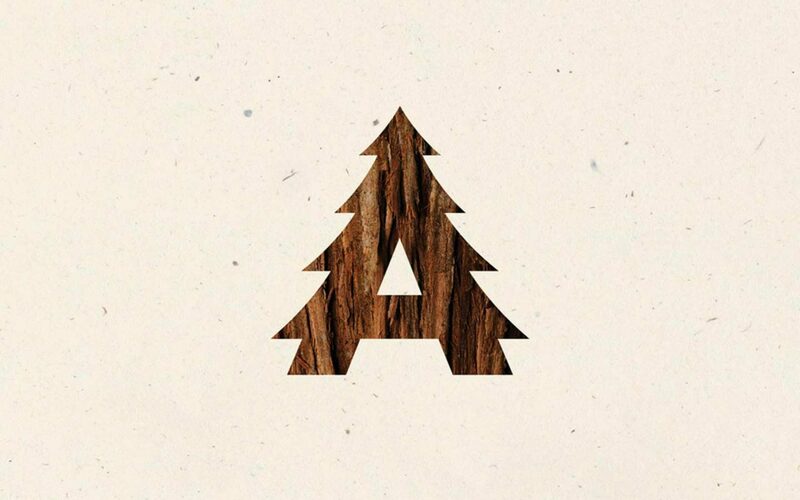 The graphic, recognizable tree form was supplemented by a unique plaid pattern – a nostalgic throw-back to the plaids worn by lumberjacks. The contrast of the two elements differentiated the brand in an unanticipated way. A geo-targeted marketing strategy was implemented to specific zip codes in the St. Louis Metropolitan Area, to drive traffic to a marketing landing page. The strength and simplicity of the design solution makes even simple grassroots communications effective for Arbor Management. Consistent usage ensures the conversational language and clean visual solution remain differentiators for the brand.